Yes it is easiest to just phone the dealer and they are obligated to do the work and for free. just hours after picking up my girlfriend's C30 D5, the dreaded "Engine System Service" warning 019 came on. I did worry a little! thanks to those who have contributed on here, my research shows (a) there is a service reset sequence (but doesn't work for this error code), and (b) it is overfill of the oil causing the error. a quick call to my local Volvo dealer and they confirmed that all recalls (washer pump & oil level) have been done, so I guess the criss-cross marks on the dipstick are the new levels to stick with. they also confirmed the service schedule of the car, and that the last Volvo service was as stamped in the book, and it is only due a minor service (although £240 seems a bit steep for oil, oil filter, cabin filter change and s/w upgrade) - anybody any experience with whether it is worth sticking with Volvo main network, or a better value independent specialist? Quick Update per above. about a week of running after drawing the oil out, the light finally went out. does anybody know if the recall brought a new dipstick into play? i.e. do we still go with the 2/3 to 3/4 up the dipstick rule, or has a new dipstick with a lower full line been put in place at the recall? Hi all just bought another volvo this time c30 t5 and as usually there was few bits i haven't checked etc one cam belt was over due by 16k miles and second my mechanic just called and while he is doing cam belt it looks like oil housing needs changing aswell. was there a recall for that? He just called me to say its not noisy or anything but oil is everywhere any suggestions? Last edited by simonsen; Feb 25th, 2017 at 19:00. Or go on MOT website and you can check both MOT history and outstanding recalls against your registration number. 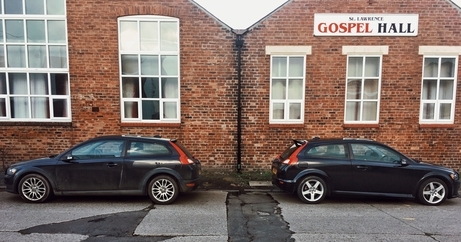 First time Volvo owner - 2007 V50 2.0L, and now a 2nd Volvo joins the V50, 2012 C30 2.0L, 3rd Volvo just added January 2019, a 2nd V50 2007 for the son! Last edited by Phaeton; Dec 15th, 2018 at 15:52.